When you think Serralunga D’Alba….you always think of top Barolo real estate….Cascina Francia, Falletto, Vigna Rionda…kissed by sunshine even in the late afternoon (it’s not always sunny in Piemonte) …this commune has soils that are more minerally and richer in iron. 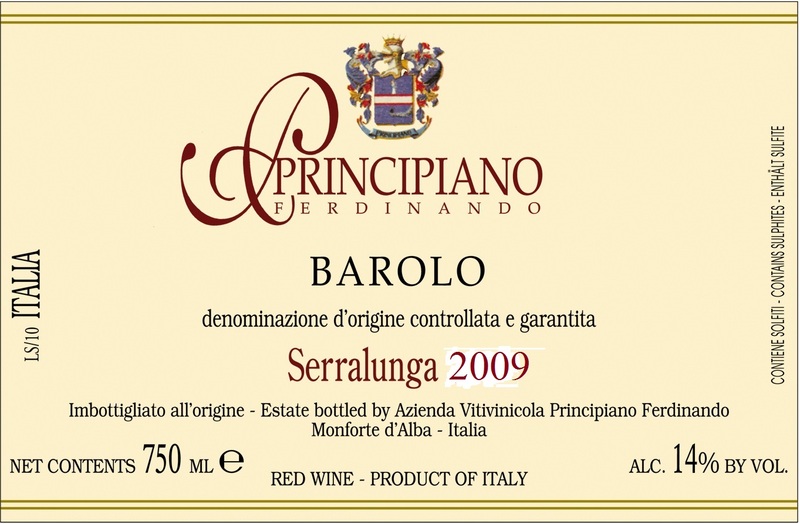 These amazing Barolos have incredible longevity and need a few years to truly unfold their beauty. But not in this case!! This Barolo comes from younger vines- 25 year old- in the Boscareto vineyard in southern Serralunga. This already historic piece of land is a continuation of the even more famous Francia vineyard where the legendary Barolo Monfortino comes from. Ferdinando makes a beautiful traditional Barolo with a long unsulphured fermentation (30 days) and all in large big botti of Slavonian oak (20-40 HL) but the result is a wine of great elegance, almost feminine that drinks sooner than the ones from his neighbors. It is textbook Nebbiolo with dried roses, cherries, earth, leather and spice….firm and precise. The price is also one of the best out there…..$34 per btl.